Lassnig trained at the academy of Fine Arts, Vienna, and then spent several years in Paris in the 1950s and 60s, where she was exposed to Art Informel and Surrealism. 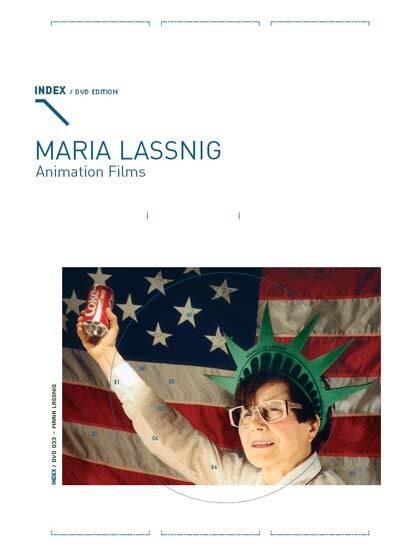 From 1968 to 1980, she lived in New York, where she did pioneering work in film, producing a series of remarkably inventive animations all presented by INDEX for the first time on DVD. Drawing on some of the same themes and subjects as her paintings, the narratives are profound and astute observations of the complexities of male-female relationships and of the experience of being both a woman and an artist. Her most celebrated film - Kantate - was produced later, in 1992, when Lassnig was 73. It presents her life story in a 14-verse song performed by the artist in a variety of costumes and accompanied by animations that are filled with humour and wit. Maria Lassnig: Born 1919, Austria. Graduate of the Academy of Fine Arts in Vienna (1943). 1980-90 professor of the master class for Experimental Design at the College of Applied Arts in Vienna; 1982 founded the only Austrian teaching studio for animated film. Member of the Woman Artist Filmmakers Group New York (1972-80). Member of the Austria Filmmakers Cooperative.